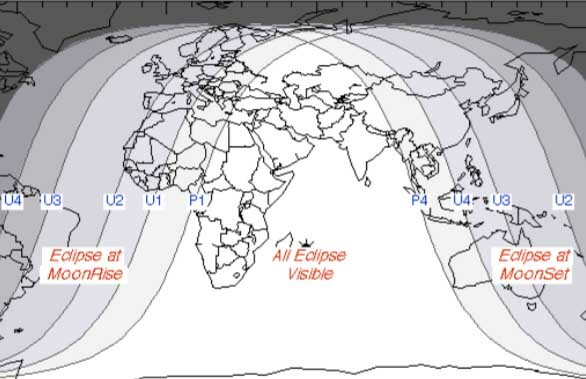 Chandra Grahan, Total Lunar Eclipse, will take place from the night on Friday, July 27, 2018, in India. It is visible in India. The grahan ends during the early hours of July 28, 2018. According to NASA, the Chandra Grahan is a Total lunar eclipse and is visible along South America, Europe, Africa, Asia and Australia. In India, it will be taking place in the evening to night. The Purna Chandra Grahan will be taking place in India time between 11:54 PM on July 27 to 3:49 AM on July 28. This eclipse takes place in Uttara Shada (Uthradam) and Shravan (Thiruvonam or Sravana) Nakshatra and in Makar Rashi. This grahan is followed by Hindus in India as it is visible to the naked eye in India. There is fasting and temples will be closed. All Panchangs and Temples in India have marked the Grahan. All Hindu temples will remain closed during the period.